Know the Rishis and Rishikiis, the early creations and their descendents, the wise men and women of the unknown and unfathomable eons, that were the embodiments of knowledge and sublimity, purity and humanity and compassion and humility. They were great scientists, discoverers, and research guides; and inventors offood-grain to fruits and flowers; of ploughs and yoke to Ayurveda and herbal medicines; from boats and ships to road-transports and planes; of everything that we possess today, from celestial bodies to metaphysics, geometry, trigonometry, algebra and photography, and numerous other things. We are proud of them and their gifts. Know the Rishis and Rishikas that knew and taught all about the earth and universe; planets and constellation; climate, seasons and meteorology, clouds, rain, water, fire, space and soil. They gave us the ways of constructing huts and ashramas to temples-and palaces, and made us know the physical body and spiritual self, the outer reality and the inner truth, and taught us the ways of health, wealth, peace, pleasure and prosperity. Since my childhood till a few years back, I have heard the names and stories of the Rishis with awe and respect and had numerous questions about them. The Rishis were popular subject of our debate. I have tried to implicitly answer all these and many other different questions in this book. In writing Rishis and Rishikas, I had many options before me. First I planned to write them in alphabetical order. Then, their time and presence in different Vedas posed problems and I abandoned the idea. One idea that lured me a lot was to discuss them as they come to me through the four Vedas. One problem was still there that the Mantras of many Rishis have come in all the Samhitas and of others in two or only one Samhita. The repetitions would have marred the pleasure of reading. Moreover, the reader would not have seen them in totality. After a lot of deliberations, I decided to discuss one Rishi at only one place as mentioned in famous Index and Annexure (anukramanikas) and to try to mention in how many and in which Vedas his Mantras have been inculcated. Then there was the ardent wish to write something in detail about the most ancient, famous and widely acclaimed Rishis. I decided against the repetition and wrote whatever I had to write there where I had mentioned him. For the benefit of the readers, I decided to mention such Rishis in the content with page numbers to facilitate them and save them from unnecessarily turning the pages of the book. Initially, I had planned to keep the Rishikas (the women who had the vision of Mantras) out of it. But when I started writing I impulsively wrote about them too. In my opinion, I have presented them in the most suitable sequence; and more Rishis can be added at their respective place when they surface or if I have missed because of my own lack of knowledge and as the Vedas are really unfathomable. Samskrit is not my language, it's my parental language. I was in its close contact during my childhood. I missed it completely during my college days. 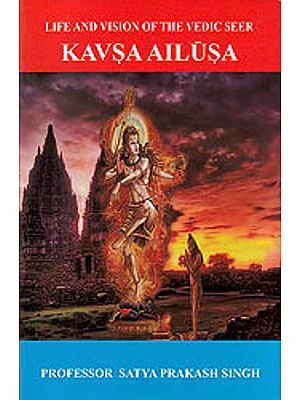 Under the pressure of my father, mother and teachers I started reading Samskrit again after becoming a lecturer of English. 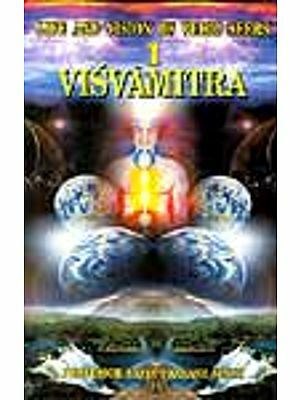 Vedic Viingmaya and Samskrit are too large for me to comprehend. One needs a few long lives to read them well, and different lives to understand them well. But even a small corner is enough to give immense pleasure. It's needless to state that I was destined to write this book as fate brought me to Shri Ram Avtar Gupta, the Chairman of Pustak Mahal. I had an appointment with Dr. Ashok Kumar Gupta whom I had only spoken to on the phone and knew as the Managing Director of the publishing firm. I had an appointment with him but was escorted to Shri Ram Avtar Gupta by a quirkof fate. Destiny plays its part. One after another, he asked me to write on the topics I relished to write. To dare to write on anyone of the Rishis is in itself a glorious act and I had planned to write 'something' on each of the known Rishis. It is true I don't possess the needed qualities, qualifications and knowledge to write on the Rishis but when I started the work I felt the presence of Rishis all around me and even in my inner self. Everything needed was rather made available to me. I did not have to run around the bush. I searched my library and found everything there. Frankly speaking, I have not been able to use and incorporate even ten per cent of the available material, it. was divine wish and the kind Rishis and gods endowed me with a bit of their power and insight to finish the book within a year. 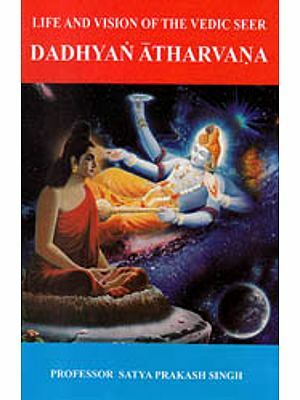 In this book, Rishis and Rishikas, I have not made use of Scriptural Tansliteration to enable the general people to read it easily. Only I have been taken from Scriptural Transliteration for long 'a' sound which is otherwise impossible to write in the Roman script. Rest of everything is as written in government papers, magazines, newspapers and general books. It will help the readers to read the few Mantras and shlokas quoted in it and also the names of numerous persons and books. I'm sure and confident that Lord Shiva, Goddess Saraswati and Shri Ganesh blessed me wholes-heartedly to finish the task. Rishis and Rishlkas will make people understand those sublime, divine and illuminated scholars; and awaken and encourage them to imbibe their power, purity, universality and other qualities for peaceful sustenance of life on the Mother Earth.